Jerusalem Rabbinical Court orders Egged to dismiss employee for refusing to divorce wife. S. and his wife Y. have been married for more than a decade. They immigrated from India to Israel a few years ago, together with their only child. Even before they immigrated she suffered severe violence from her husband, but coming to Israel did not help to the situation. Since then Y. and her son had suffered recurrent violence. Three years ago Y. filed a divorce claim. The husband, for his part, filed for "peace in the home", a process whereby a spouse being sued for divorce may request three sessions with a court-appointed social worker to try to reconcile. In the agreement between the parties, the husband undertook to refrain from physical and verbal violence, but failed to do so. After another year of violence, Y. was forced to leave the house. 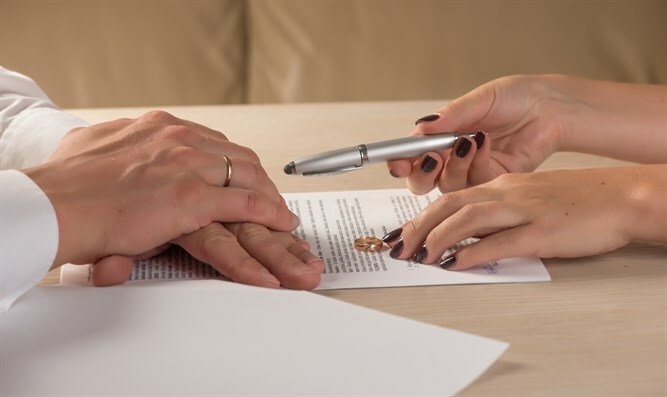 About 10 months ago, a decision was given to obligate S. to divorce Y., but the husband persisted in his refusal, suing for reconciliation, and agreeing to divorce only if the woman gave up her share of their property. As a result he was subjected to various sanctions, including a fine of NIS 1,500 a month for her ketuba and alimony, but to no avail. Attorney Tehila Cohen, To'enet Rabbanit representing the woman on behalf of the Yad L'Isha organization of Ohr Torah Stone, understood S.'s weak point to be his workplace and sought to implement the law that allows his right to be employed in public work to be restricted. Following Cohen's request, the rabbinical court in Jerusalem last Thursday headed by Rabbi Uriel Lavie decided to implement a restraining order under the Rabbinical Courts Law and ordered S.'s employer Egged to dismiss him within 30 days. Yad L'Isha Director Pnina Omer said, "We've seen the use of various sanctions in the past, but any such creative solution gives great hope to other women because there are other ways to release them from their aguna status prison." Attorney Cohen, who represents Y., said: "Y. is an impressive woman, who after the violence she experienced she's entitled to a peaceful and happy life. We won't rest until we achieve her freedom and she goes with her son to a new and good life."